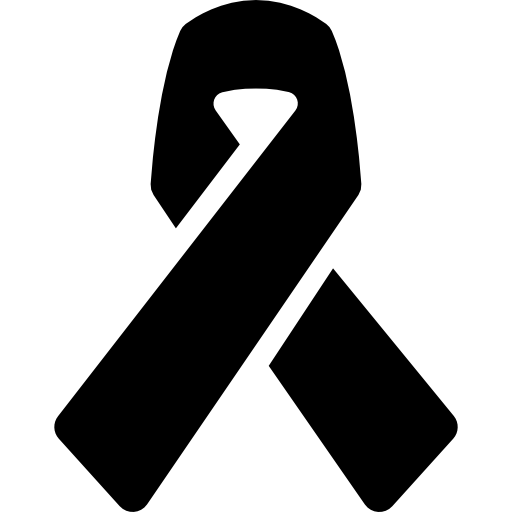 Children with cancer often receive high-intensity medical care at the end-of-life (EOL), which may increase already high symptom burdens. 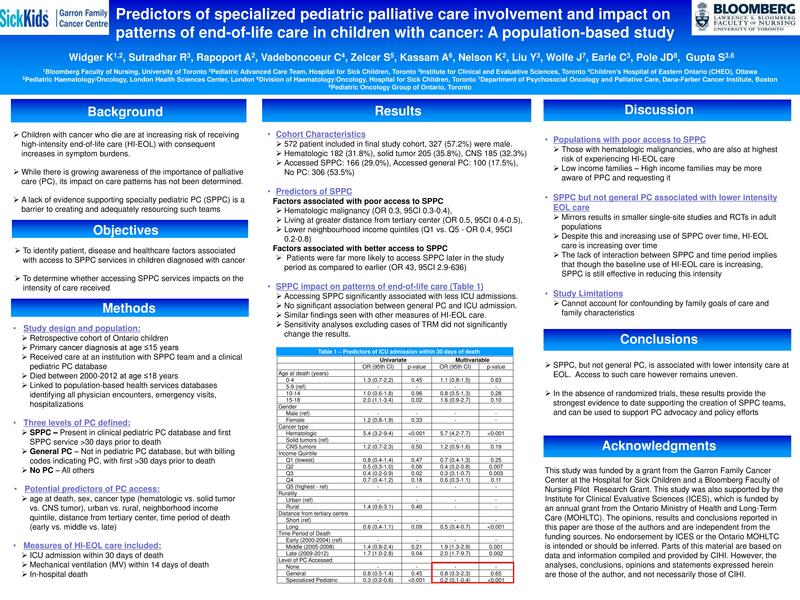 The impact of specialized pediatric palliative care (SPPC) services upon the intensity of pediatric EOL care is unknown. While population-based studies are required, the ability of administrative data to accurately identify SPPC involvement is unknown. We will combine population-based administrative and detailed clinical data to determine who receives SPPC and whether SPPC programs impact the kind of EOL care experienced by Ontario children with cancer. We will also validate the ability to identify PC involvement using administrative data, thereby providing an innovative method for future research. Widger, K., Sutradhar, R., Rapoport, A., Vadeboncoeur, C., Zeltzer, S., Kassam, A., Nelson, K., Liu, Y., Wolfe, J., Earle, C., Pole, J., Gupta, S. (2018). Predictors of specialized pediatric palliative care involvement and impact on patterns of end-of-life care in children with cancer. Journal of Clinical Oncology, doi: 10.1200/JCO.2017.75.6312. NOTE: This article was selected by JCO for an invited commentary and a JCO podcast session, available here. Widger, K., Sutradhar, R., Rapoport, A., Vadeboncoeur, C., Zeltzer, S., Kassam, A., Nelson, K., Liu, Y., Wolfe, J., Earle, C., Pole, J., & Gupta, S. (September 2017) Predictors of specialized pediatric palliative care involvement and impact on patterns of end-of-life care in children with cancer [Poster]. Canadian Hospice Palliative Care Association Annual Conference Ottawa Canada. We hosted a one-day stakeholder meeting at the Hospital for Sick Children in October 2017 to share the key findings from our study and gain perspectives on our findings from health care providers, researchers, parents of children living with or who died from cancer, and representatives from non-profit organizations focused on improving health care. Access End of Grant Meeting Report.